Nata Lodge - Nata Accommodation. Nata Lodge is conveniently located approximately 10km south of Nata on the main Nata-Francistown road. This is on the main tourist routes to Chobe National Park, Victoria Falls Zimbabwe/Zambia and a Caprivi Strip in Namibia. 20 Thatched Challets - 18 Twin Challets and 2 family Chalets with 4beds. The chalets are en suite with toilet and shower. For keen bird watchers and naturalists, Nata Lodge offers open vehicle, three hour excursions into the Nata Sanctuary. Mammal species in the sanctuary include antelope such as kudu and springbok, as well as springhares, jackals, foxes and monkeys. However the main attraction is the abundance of bird life. Around 165 bird species, including king-fishers, eagles, ostriches, pelicans, spoonbills and both greater and lesser flamingos, have been recorded. When the Nata river flows, flooding the pan, the area becomes a paradise, dominated by water-loving birds from all around Africa. MAKGADIKGADI SALT PANS incorporates a multitude of salt pans and vast grass plains dotted by palm islands and forms the Great Makgadikagidi which comprise the largest area of salt pans in the world covering some 37 000 sq km in overall extent. It is the last vestiges of Africa's largest inland sea and exudes an atmosphere of antiquity and mystery. THE NATA SANCTUARY forms the breeding ground for a host of water birds including pelicans and flamingo in their thousands, transforming the shore line into a pink haze blending into the western sky. 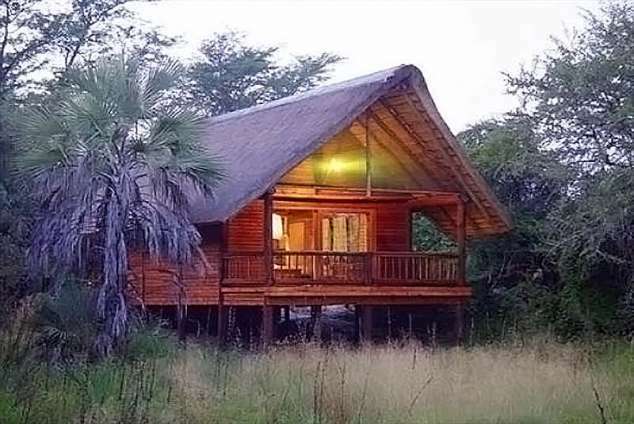 Nata Lodge offers guided tours in open safari vehicles into the sanctuary, not to be missed. Quad Biking Our guides will take you around the dusty plains and grasslands surrounding the Lodge - the perfect terrain for these fun-filled vehicles. 15311 page views since 19 May, 2008. Last updated on 24 Jul, 2017.